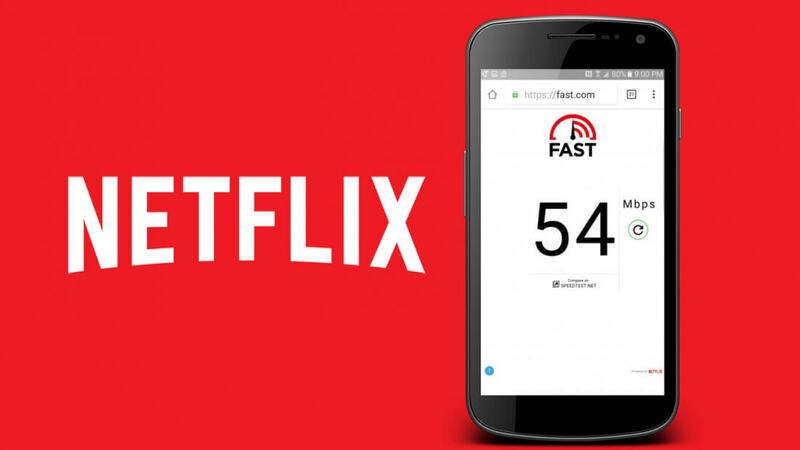 Netflix’s Fast.com broadband speed test tool is now making the jump to mobile devices as a standalone app for iOS and Android. Like the barebones website launched in May, the apps provide a quick and simple way for any Internet user to test their current Internet speed. While there are plenty of other speed test options already available, Netflix’s Fast is pretty straightforward and ad-free. There are no servers to select, just open the app and it will instantly start testing the speed of your connection against a globally-distributed network of servers that serve Netflix content. Each server provides an endpoint with a 25MB video file, and the endpoint supports a range parameter that allows requests for between a 1 byte to a 25MB chunk of content. Netflix's Sergey Fedorov and Ellen Livengood go through some of the technical details in the company’s tech blog. Fast doesn’t include upload speed results, however. Netflix explains that download speed is more relevant to users when it comes to streaming content. But the service also includes a link to speedtest.net where you can measure this and also compare results and perhaps shine a light on ISPs that optimize or limit their network’s performance on specific sites. Indeed, Netflix’s problems with ISP throttling are well-documented and are the reason why the company started doing speed tests. In recent years, the company has reluctantly inked deals with ISPs for a direct connection to their servers to speed up customers’ Netflix experience. Aside from Fast.com Netflix has also offers a monthly ISP Speed Index, which measures average speeds of actual Netflix streams during primetime hours. You can download the Fast.com app from here.